Posted on June 8, 2014 . No comment. 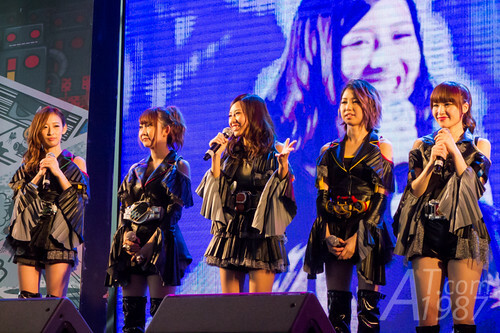 Last time I wrote about Yumemiru Adolescence who is the guest for Thailand Comic Con 2014. This time is the turn for Kamen Rider Girls who is this event guest too. PS. What I wrote and photos may not relate each others. On the second day of the event. 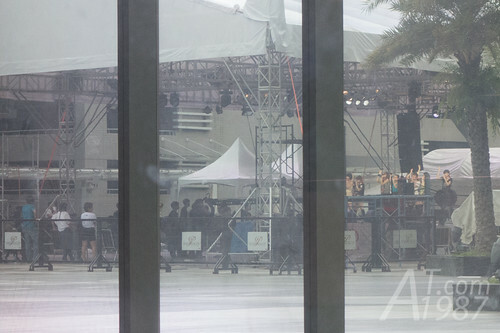 Kamen Rider Girl also had the small rehearsal in the morning. They came before YumeAdo. Kamen Rider Girls photo session was held on this day. However only those who have the second day concert ticket only. After YumeAdo’s meet & greet event was over. I went to the main stage for watching KRGS min live at Main Stage. The set list consisted of Kamen Rider V3 and E-X-A (Exciting × Attitude). Girls also showed their rider “henshin”. However their henshin didn’t go well. Since most people watched Thai dubbed version so they didn’t know how to announce the word in Japanese. Mini live video is available on my YouTube channel. Enjoy it! That’s all of the second day for KRGS. KRGS’s Meet & Greet event was held on the last day of event. After I got the YumeAdo photo session queue number. I walked around the event venue and found that they moved KRGS’s event faster from 13 to 11. I didn’t prepare for this event. I planed to sit in the panel, see and take photos of them then left to YumeAdo photo session. I didn’t have any items for signing session too. They were asked many questions. What I remembered is who is the big eater. The answer is Jina who is the smallest member in KRGS. They also do their henshin. This time it went well because most of people attended this event are Kamen Rider fan. The ugly titan acted as sandbag for girls to do Rider Kick. While the most of girls laughed at him. Michan seemed worry him. They had even learned how to dance to the Thai famous folk songs.